Math was never my strong suit. Once I got passed about 4th grade math I had a hard time comprehending and keeping up. So helping kids at home to succeed in math is incredibly important to me. Math is an important aspect of life in so many ways. From cooking, shopping or so many other aspects of being a human being. So ensuring that our kids are understanding math can be done at home. There are ways that we can help encourage our children to be successful with math whether we homeschool or our children go to public school. These supplementary math activities can be exciting and fun while they because seen as games. 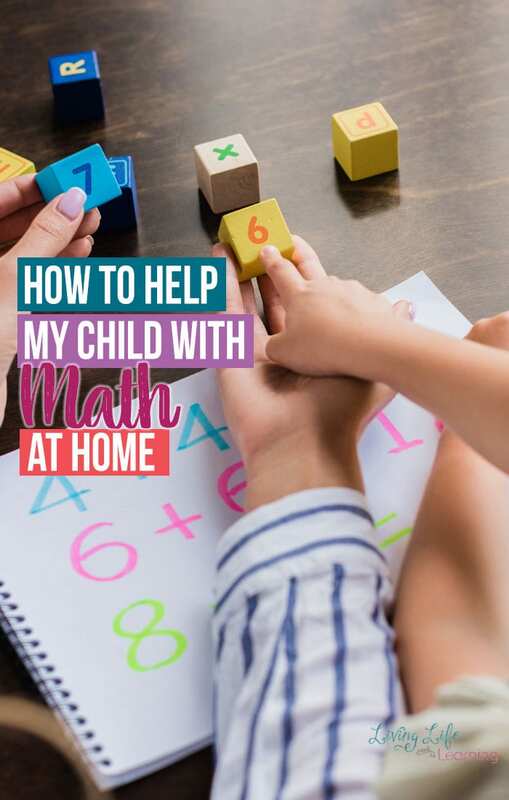 So if you’re asking yourself How To Help My Child With Math At Home, this is for you. This will help you help your child in the best way possible so that they can continue to succeed in math. 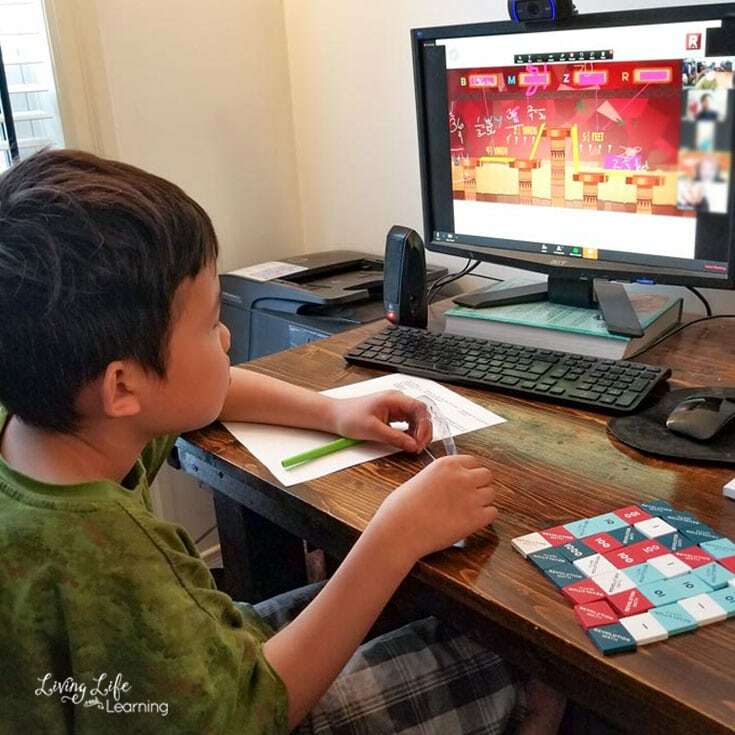 There are tons of online math games that kids can play for free. Perhaps changing things up and trying to make math a game will make things click for your child. When kids are in the early stages of learning we use a ton of math manipulatives. We use a ton of raisins, M&Ms, blocks, scales and the white board too to visualize the new math concepts. If you’re comfortable teaching math, I would work with your child at home after school. I’d look at the work they’re bringing home to start with what they were struggling with. And if you need to go back and review basic concepts do it. You need to meet them where they are instead of forcing them ahead when they’re struggling with earlier concepts. If you’re not comfortable teaching math, outsource this to another math tutor, this could be a high school or university student depending on what level of math you need help with. Students are a more budget-friendly option, while there are tutoring centres centres or teachers who also this service at a higher price. There are online services that you can use to have your child meet a tutor who can help your child with math. 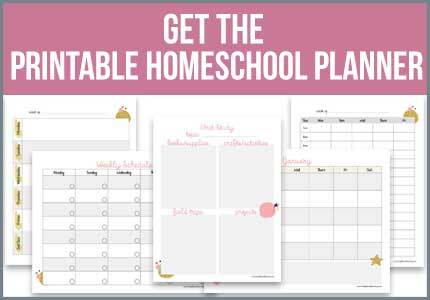 This is a wonderful solution for you and your child doesn’t have to leave the home. If you can find a teacher that your child connects with this would highly benefit your child. 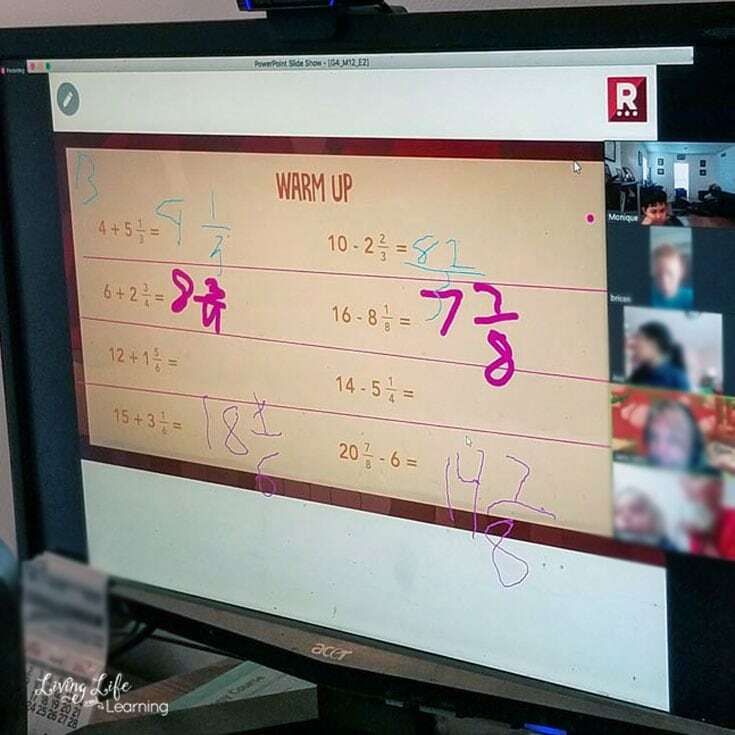 One online math tutoring solution is Revolution Math: The Smart After-School Activity. This online service allows you to choose which time slot you’d like to have your child work in. You can see how many children are in that session and there are a ton of time slots to choose from. 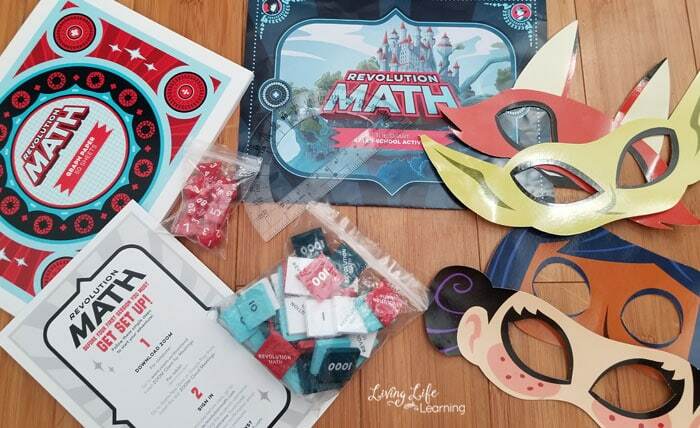 When you register for your trial, you get this cool welcome kit from Revolution Math, my son was excited to get mail for himself. The masks are a part of the story, they use a story theme as they start each lesson and the kids can get into each character. 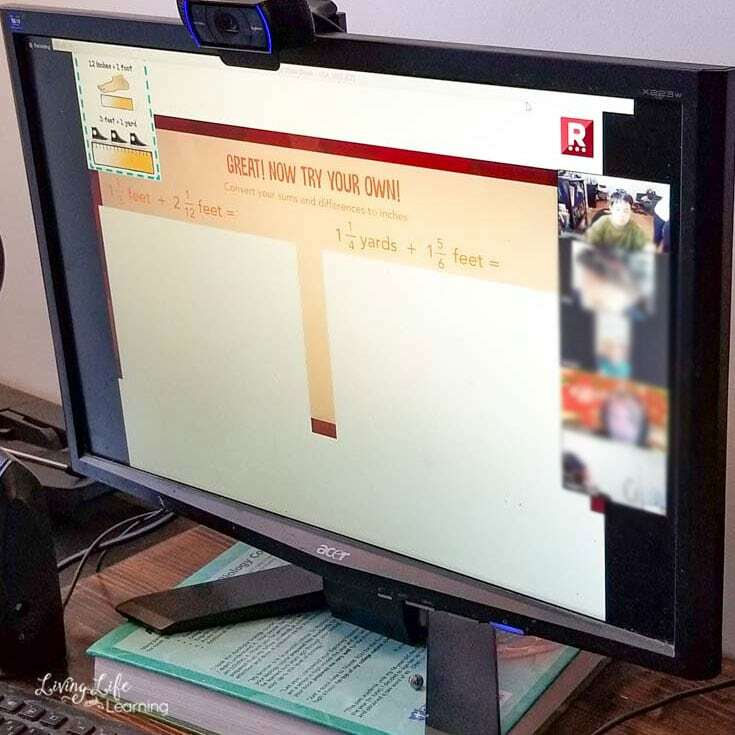 I didn’t know what to expect particularly since he would be online with a group of kids and how that dynamic would play into their learning. When my son entered the class, having joined in the middle of the school year, they had already been working on inches to feet conversion as well as cups to pints and quarts. Being Canadian and having little exposure to those units I thought he would flop and give up on it. However, the teacher quickly explained how to do it and I told him to write down anything important which he used. They started with fractions and converting them. There were two students who had control of the whiteboard and they were answering the questions. My son thrives on competition so I chose a class that had 3 other participants so that he could interact with other kids. However, if you have a child that would be easily distracted, you can choose another class to attend that doesn’t have any other participants. The teacher chose two different people to work on this problem. If they don’t know they can ask for help and she was really good about prompting them to help them find the answers. The other kids and encouraged to find the answers as well. The interperse the lessons with parts of the story and the teacher does a great job of keeping things exciting for the students but also balancing that by really helping those who need it or providing extra questions for those who already have the concept down so that they’re not waiting on her. The class ends with a cliffhanger about the story and the kids are invited back to see what happens next. To start helping your kids at home with math, take advantage of this special deal – Use the code: LIVING18 to get a free one month trial with Revolution Math, then if you’d like to continue, you can get the special pricing of $99/month (regular $149/month) with flexible terms (basically 33% off). You can follow Revolution Math on Facebook, Instagram or Twitter. Such great ideas! My struggles are usually finding time to fit in all the wonderful ideas I find here.